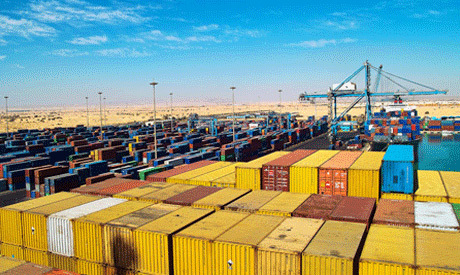 Egypt's non-petroleum exports recorded $4.1 billion in January and February, including $3.1 billion in industrial products and $961 billion in food commodities, the Export and Import Control Authority said. The 22 countries of the Arab League received more than one-third of Egypt's non-petroleum exports (37.3 percent) in both months, worth $1.5 billion, the authority's head Ismail Gaber said, according to state news agency MENA. The European Union came second, receiving exports worth $1.2 billion, followed by the United States, which received Egyptian exports at a value of $290 million.